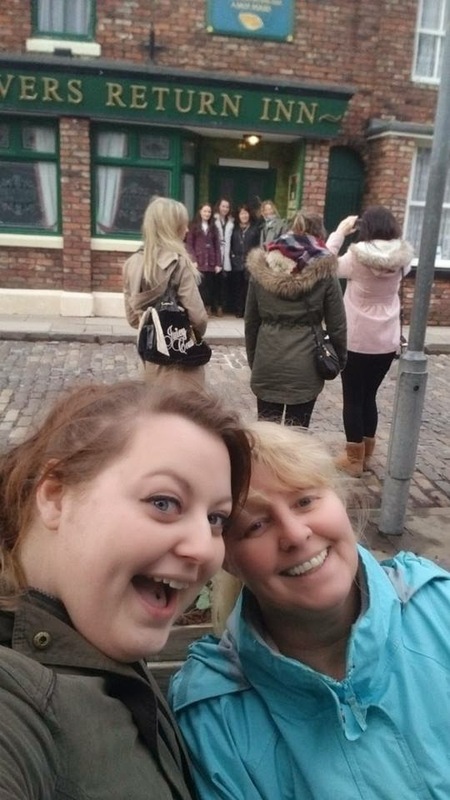 On Sunday I took my mum to the Coronation Street tour in Manchester, it was a belated birthday present. My mum loves her soaps so when it came to finding her something for her birthday this seemed perfect. It took around an hour and a half to get there, the tour doesn't actually have parking but there is a car park not far from them. We couldn't find the car park so I just left my car on a side street near some others and hoped for the best, the car was fine. If you know where you are going then that's great! We had no idea I had google maps open and the mini map of where it was also open, we eventually found a sign which was around the corner from the entrance. If you book a tour you need to arrive 15 minuets early I wouldn't get there any earlier otherwise you will just have to hang about in the crew kitchen. The prices of food and drink are what you would expect of any similar place. Our tour began at half 4 we had our little lanyards with a card that said backstage pass, which was a really cute idea to make you feel sort of like a star. Our tour guide Katie was really bubbly and chatty which was great, there is nothing worse then a tour guide who just points out facts. Katie really engaged the group that we were in and made sure we all had a chance to look at what she showing/telling us. Unfortunately you can't take any pictures of the sets on the inside which was really annoying but they aren't going to change a habit of a lifetime. 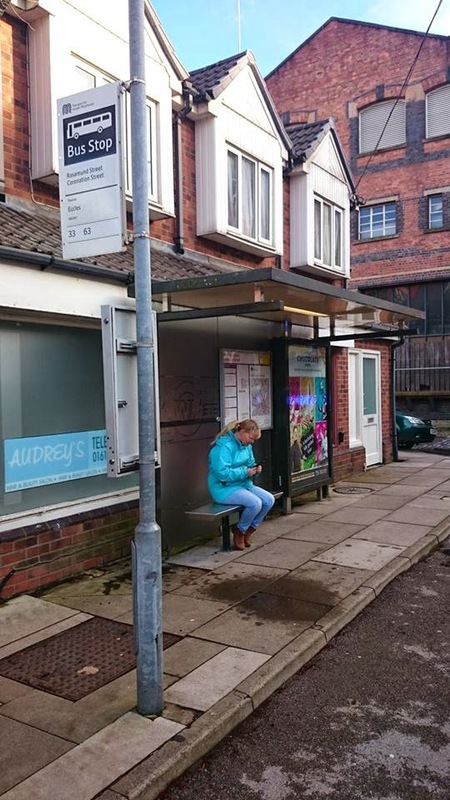 You can't go on to the sets which is also a bit of a shame as it would be good if you could just stand on them and do a pose for a picture, like they offer in the Rovers set. In the Rovers you can pretend to pull a pint and get your picture taken. You can purchase the picture in the medical centre/gift shop after the tour I will talk about that further on. 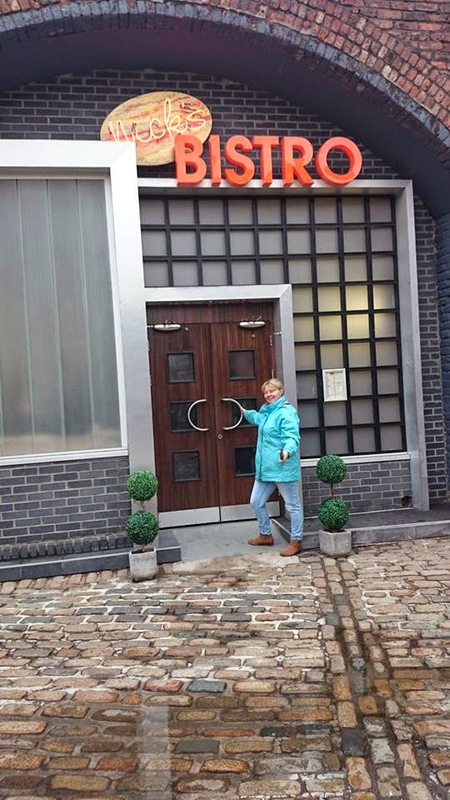 So the set tour is great I don't know if it's always the same sets or if they change them sometimes but got to see Carla Connors flat, the Platt's house, Fiz and Tyrone's, the factory, the barge that Ken's naughty love interest lived on along with the Rovers and the inside of the Kabin. Along with the sets are some pictures and props, you can also see the stars dressing rooms and wardrobe department with the actual clothes they have worn in the show. 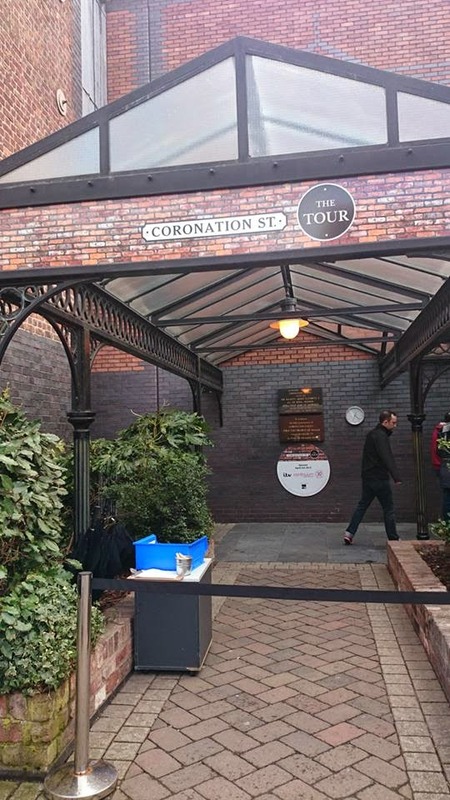 Once the inside tour has ended you exit out of the Bistro on to those famous and cobbles and to the theme tune of Coronation Street. Once you are on the street you can wonder around at your own place and take as many picture as you want until they close which was 7pm for us. Me and my mum had a walk around and took various posing pics. We both knocked on the Platt's front door with no answer so we wondered round to their garden and we realised that no one was home. From there we took a stroll down the cobbles past the Rovers and Audrey's salon. 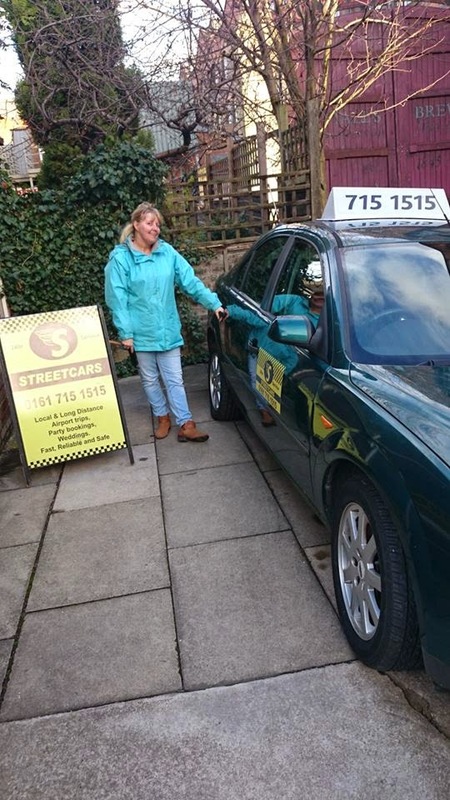 We decided to wait for the bus but with it being a Sunday the service was limited so we went for a Taxi instead. We also popped for a Kebab and to pay respect at where Tina died. 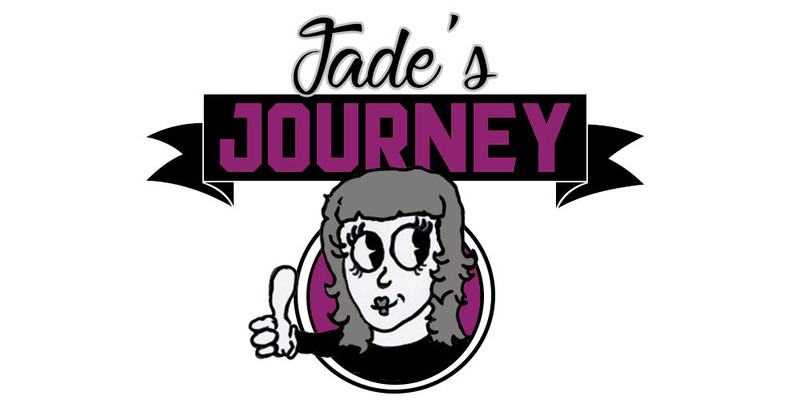 It was so much fun that I'm sure if we had a larger group of us and a cam corder we could of made our own little episode. Maybe some people have? I would be very interested seeing the footage if you have. At the gift shop we bought our picture on a USB which I don't really understand, they offer the USB option but a person in front of us had 2 pictures and was told you can only have one picture on the USB meaning he would have to buy 2. Now in the off chance that any of the tour team are reading this I have a little idea, It would be great if you could just pose on a few of the sets and have the picture taken, I understand that you want to preserve the set and that some people are just really ignorant to that but lets say you can stand in Carla's Kitchen or sit on a stool at a sewing machine in the factory. These would be great little pictures to have and I'm sure that people would be willing to pay for a USB that contains a few pictures. Say maybe £10 per USB for a selection of pictures that they have had taken. That is the end of my pitch. So back to the gift shop they offer a few things which are kind of pricey I would of loved a mug but paying nearly £9 for one I just couldn't justify that price so I got a fridge magnet and a rugby ball for Jared-David. I really hope that you get the chance to go as it is a great day out and the tour itself is priced fairly and you never know if you go you might just bump into some of the cast unfortunately we didn't but apparently they do visit.